Email newsletters have earned a somewhat negative reputation over the years. We’ve all opened newsletters that felt like a complete waste of mental energy. Some newsletters are so boring that you wonder why the business actually took the time to write it. Other newsletters are so salesy and scammy that you instinctively check for your wallet to make sure that all of your money is still in there. Is there a way to create an interesting newsletter for your subscribers? One that encourages more opens and garners more click-throughs? One that builds a relationship with your subscribers? One that your subscribers will actually look forward to receiving? Absolutely! In this post, we’ll guide you through creating a winning email newsletter. Let’s get started. Here’s an extra list of tips for creating an engaging email newsletter. What Are the Benefits of Sending an Email Newsletter? Before we delve into the hows, let’s tackle the whys. Why should you send an email newsletter to your subscribers to begin with? There are probably dozens of great benefits to sending an email newsletter, but we’ll focus on the top three. Stay in touch with your customers – As a business, it’s crucial for you to remain at the top of mind. You want your customers to remember you when it’s time to buy from you again or whenever they might be asked to make a referral. You do this by maintaining a relationship through the inbox. Nurture leads – Your newsletter isn’t just for current or past customers — It’s also for those who are still on the fence. Use this time to educate leads on why you offer the best solution to their problem. Promote new products – Once you have your lead’s attention, what do you do with it? You promote, of course! Promote your services and share exclusive coupons and discounts that they can only receive by becoming an email subscriber. Nothing converts leads better than a well-planned and considerate email marketing strategy. One of the very first things you should do is start slicing and dicing your list of email subscribers. “One size fits all” is only for trucker hats. You’ll need more specialization when it comes to email marketing. In other words, don’t send everyone on your list the exact same email. Create groups (or segments) within your email list so that you can customize your email message for their individual needs. I’m willing to bet that you have different types of customers, and they don’t all want the same thing. Even if your service is deeply niche, you’re still likely dealing with at least a few different customer personas. Your email newsletter should reflect this. Why is segmenting important? 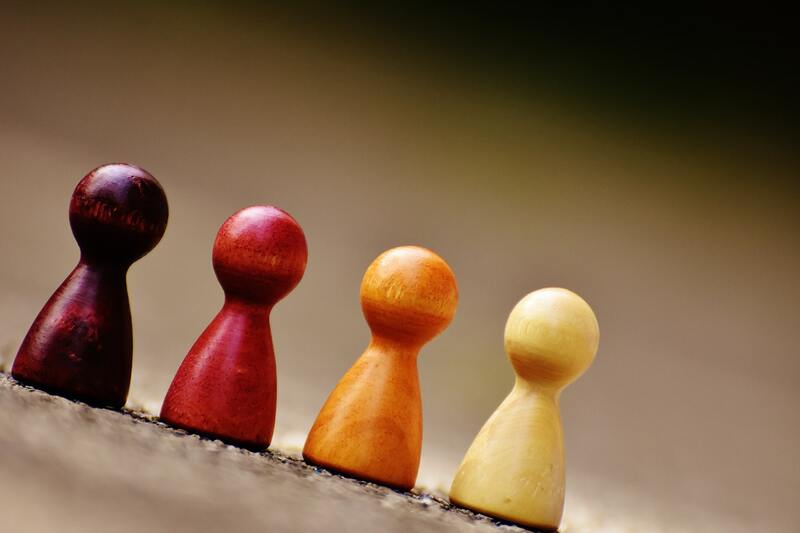 First of all, segmentation makes it possible to personalize your email newsletter. Instead of sending a generic message that kinda, sorta fits, you can send a targeted message that feels more relatable and timely. Segmented emails enjoy a higher percentage of email opens and can also decrease your unsubscribe rate. Gotta love that. Here are a few ways to segment your email list. By subscribe date – New subscribers shouldn’t just be thrown into your newsletter rotation. Gently welcome them through a series of onboarding emails where you highlight your “Best Of” emails. By lead magnet – What prompted the subscriber to join your email list? Often, SaaS offer lead magnets (or free digital gifts) in exchange for an email address. If you offer multiple lead magnets, you can use that to determine what content your subscriber is most interested in receiving. By behavior – Subscribers who open up a specific type of email (such as a promotion email) more than other types should be placed on a certain track. Aside from your email address, you can also look at their purchase history to determine the types of email newsletters to send. By location – If you cater to subscribers from all over the world (it’s the Internet, of course you do), then consider segmenting based on location. You can create location-specific promotional deals or notify subscribers of an upcoming local event. And now we’ve come to the million dollar question: How do you find the right topic for your newsletter? *To determine whether or not to send your newsletter, ask yourself and your team this question: Will this email provide true value to my subscribers? To keep your newsletter exciting, don’t send the same type of content every time. Your newsletters should be a 75/25 mix of education and promotion (heavier on the education side). You shouldn’t self-promote all the time. It’ll get old quick, and you’ll start to suffer in the way of decreased opens and increased unsubscribes. If you send four newsletters each month, three of them should focus on nurturing and only one of them should try to sell something. For example, a nurturing email may notify the subscriber of your most recent blog post while a promotional email can include a testimonial and a nudge to buy now. The inbox is no place for a lengthy discourse. According to email marketing service Constant Contact, the ideal length for an email newsletter is around 200 words. 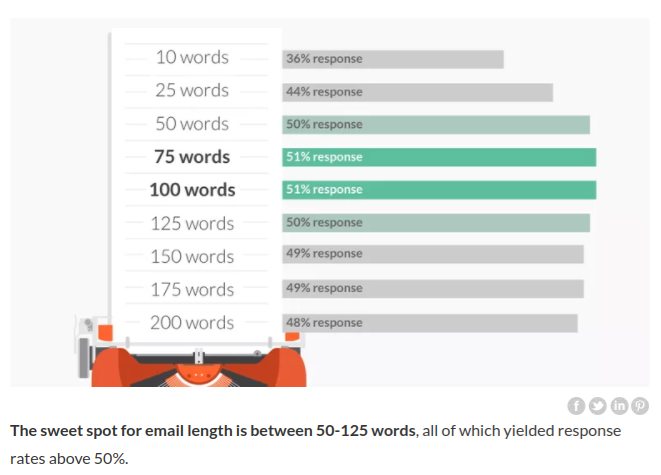 Another study conducted by Boomerang set the bar even lower, suggesting that emails between 50 to 125 words received the best response rates. The takeaway is clear: Keep your email newsletter short. And don’t forget to make it scannable. The point of your email should always be to drive your subscriber to a deeper engagement with you, whether that’s to read a blog post, buy a product, follow you on social media, download a case study, etc. Also, remember that most people scan emails and rarely read them. An easy to scan email with short paragraphs, digestible words, and plenty of white space is more engaging than one that requires complete concentration. It’s the inbox, not a library. What should the reader do after clicking on and reading your newsletter? Make the next step obvious, by adding a crystal clear call to action at the end of your newsletter. Perhaps you’d like for the reader to read a blog post or sign up for a webinar. Let them know what to do next. In fact, your call to action should be infused throughout your newsletter so that once they arrive at the call to action button or link, the reader will be pumped and ready to take action. When linking to your desired action, include descriptive text such as “check out this blog post” or “download your free gift here.” Avoid using non-descript calls to action like “click here” or “submit” because these phrases won’t engage scanners. Mobile friendliness is not just a suggestion, it’s an absolute must. 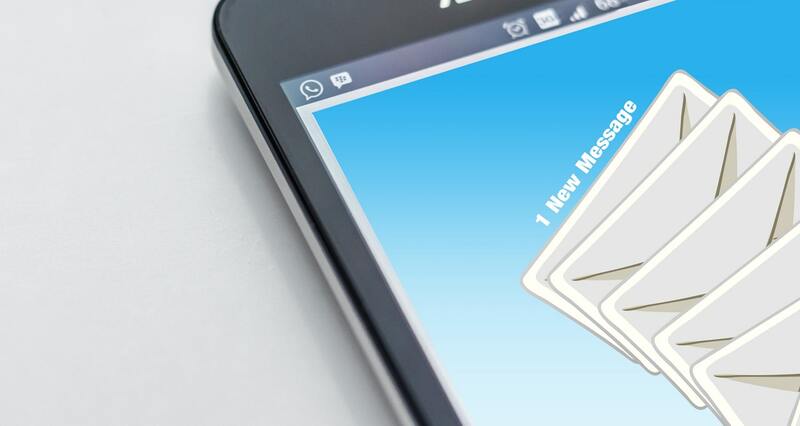 More people open and read emails on mobile devices (i.e. smartphones and tablets) than they do on desktops and laptops. Be sure to select an email marketing service provider that offers mobile-friendly templates. Most of the big names do, but always check to make sure. Otherwise, you can alienate a huge portion of your subscribers with pinch to zoom. Creating a winning newsletter isn’t difficult, but it does require planning. Use the above tips to develop newsletters that everyone on your list will love to read. Looking for even more ideas to create an engaging newsletter? Download this list of tips that couldn’t fit into this guide. Here’s a checklist to follow when creating your email newsletter. Subscribe to receive this extra resource.